Early November is now yearly Blizzard-time, with a familiar massive gathering of fans, players and press in the Anaheim Convention Center for two days of announcements and e-sports at Blizzcon. It all kicks off tomorrow, and we’ll be on the ground gathering interview goodness and hands-on impressions, as well as reporting on all the panels and announcements. Be warned that everything after the opening ceremony requires you to shell out for a virtual ticket, so stick with us for ongoing, and gloriously free, coverage. In the meantime, here’s everything you need to know about what to expect and how to watch. 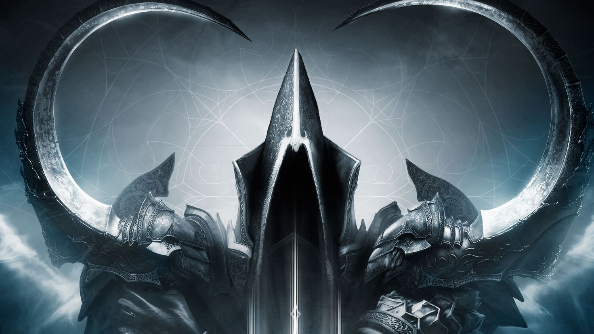 Blizzard pops up quite a bit in our picks for the best PC games. The event starts at 7pm GMT / 8pm CET / 11am PST on Friday with a free livestream of the opening ceremony, where the major announcements will be made. 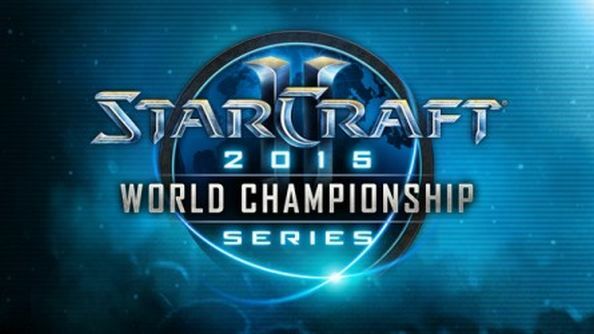 You’ll be able to watch it via the Blizzcon site or follow along with our live coverage here. We expect there will be major reveals for Heroes of the Storm, Hearthstone and Overwatch during this time, along with director Duncan Jones’ presentation of the first proper trailer for the Warcraft movie. Blizzard are also likely to touch on all their franchises, even if it’s just a brief mention in Mike Morhaime’s keynote speech. Of course, each has their selection of panels and rumoured announcements, so we’ll go over those next. Each Blizzcon has a central game which is given pride of place as the first, double-length panel after the opening ceremony. It’s usually dedicated to the new WoW expansion, and this year is no different despite Legion’s big reveal having come at Gamescom. A “World and Content Overview” panel will break down what’s coming in the expansion, providing details on everything from new zones and dungeons to what the big features of Legion will be. Expect more information on major early story beats, including how player characters end up in possession of various characters’ signature weapons. Deaths. Deaths is what we’re predicting. There will also inevitably be WoW minutiae that nevertheless raises well throated cheers from the dedicated audience. Hearing a thousand people shout in joy because one stat is being changed to be a bit like another stat never gets old. A Game Systems panel on Saturday will go into more depth on this, for the truly invested. As with all the panels, you’ll need to buy the Virtual Ticket to tune in and check the schedule for local times. Meanwhile, hands-on time will likely be available with the new Demon Hunter hero class and their unique starting zone. It will give us first-hand impressions of how they play, where they fit in WoW’s ever-expanding set of roles and how their backstory turns them into bronzed, spiked giants. We’d also expect to see some more of the prequel cinematic that was teased at Gamescom, possibly during the opening ceremony. 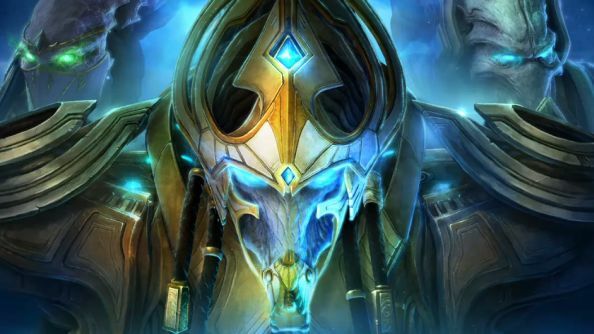 Withthe release of Legacy of the Void just five days away, it was expected to be a quiet showing for StarCraft II at this year’s show. However, three panels are dotted across the two days focusing on what’s coming next, the competitive scene and sound respectively. While the last is unlikely to be packed with reveals, the other two promise to show what the team’s plans are once the final expansion has made its mark. Coming in to Blizzcon, everyone was expecting the announcement of a second expansion for Diablo. Not only had it been an appropriate amount of time since the release of Reaper of Souls, but a two-expansion model seemed to work for similarly boxed-product StarCraft. With umpteen million copies sold worldwide and the game currently having no microtransactions or other regular earning pattern, it would seem a smart business decision too. Instead, the solitary panel for the game will be discussing the first details of the upcoming 2.4 patch, including changes to item sets, new legendary items “and more.” It’s late on Friday, going up against Hearthstone, putting it very much in the B slot for that time period. The low presence for the game at the event has disappointed many fans, who were hoping for a lot more love. While the cries that the game has been abandoned by Blizzard are evidently overblown – it would take a special kind of corporate silliness to decide 30 million+ players should be ignored – you can understand their frustration. However, Blizzard are selling the panel big on having a lot of announcements and content, highlighting it in our press briefing as one we want to keep an eye on. Given they do have things to say and it is the only outlet for the game all weekend, expect a packed hour. A hastily edited description on Battle.net hinted at “all new set-dungeons” and “stash space” as two of the announcements before they were cut out, though we’re none the wiser as to what exactly those might be. You can also bet that someone will bring up the recent botting concerns that have plagued higher-level play during Q&A. Assuming Blizzard continues to follow their alternating formula, next on the announcement list for Hearthstone should be a new adventure mode in the style of Blackrock Mountain and Naxxrammas. However, not a single hint has dropped regarding where it may be set or what’s coming in general, so it’s possible there’s bigger surprises on the horizon. 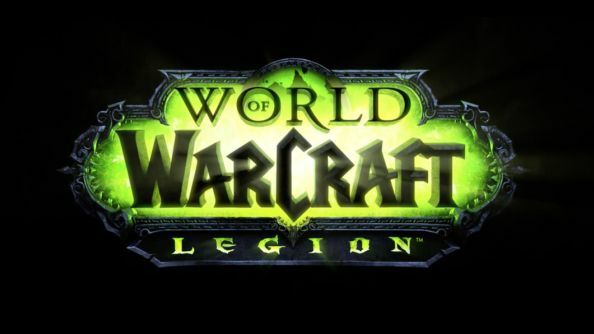 A Legion tie-in would likely see us taking on The Black Temple or other Illidan-homeground, while something relating to the Warcraft movie’s Orcs & Humans-based plot line seems equally likely. 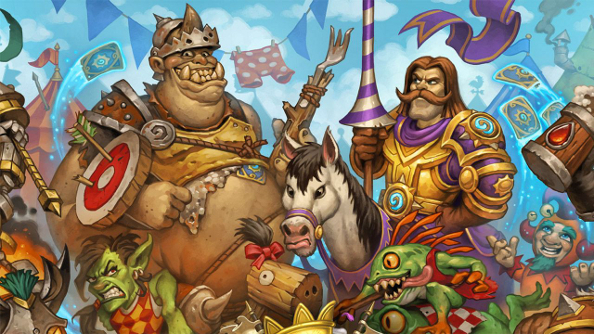 Perhaps what’s more important is Hearthstone’s plans to mature as a professional game and a card game as a whole. With the recent massive discussions on nerfs, the problems of new players being unable to acquire must-own cards easily and power-creep becoming a serious concern for designers, it may be time for the team to start discussing formats. These would be different ways of playing Hearthstone where certain sets would rotate in legality, for example only allowing cards from the last year to be played, updating with each set release. Magic: The Gathering introduced a similar system named “Standard” in the early 90s to a massive outcry and claims it would ruin the game – it’s now the most popular way to play, keeps designs healthy, tournament fresh and makes Wizards of the Coast an obscene amount of money. Of course, Blizzard may have their own solution, as they so often do, or entirely different announcements to make. Tavern Brawl proved a great way to provide something interesting to the community every week and means the game is always at the forefront of player’s minds, as well as alleviating some of the card accessibility issues by providing a regular free pack. More new play modes along those lines, and the long-asked-for in-game tournament option, would be very much appreciated. Heroes of the Storm is in an odd place: a fully released, free to play Blizzard game that isn’t doing quite as well as Hearthstone despite a massive push from the developer for it to be adopted. It’s pootling along fine, has a decent number of players and at least seems to be making reasonable money, although no specific brags about its figures in recent earnings calls would suggest it’s hardly set the world on fire akin to Blizzard’s other titles. Still, there’s a group of panels and a massive e-sports presence for the game this year. New Heroes will show up at the deep dive panel mid-way through Friday, which is exclusively focused on upcoming character designs. It’s probable that another event is on the way similar to the Eternal Conflict that debuted a number of Diablo Heroes and Battlegrounds over the past few months, this time focused on one of Blizzard’s other games. 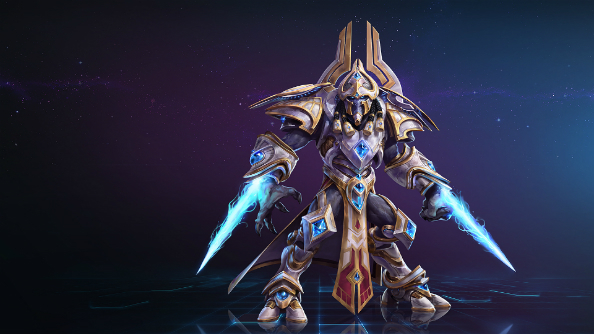 With the release of Legacy of the Void, the Medic and Artanis all in close proximately, my bet would be on StarCraft. However, it’s also possible that Overwatch will start making its impact on Blizzard’s MOBA, capitalising on the hype for the closed beta. I’m personally interested to see how the design philosophies of the game have evolved since launch and if any major changes are planned particularly regarding the free to play mechanics. While it’s hardly criminal, Heroes has always struck me as quite a stingy game, especially when compared to how easy it is to free-roll Hearthstone or, to go outside the company but stay in genre, Dota 2. Also, while I appreciate the simplifications it has made to the genre and the lightning-fast games that’s lead to, Heroes has always felt like it was missing a key element to take it from a fun game to a brilliant game. We’ll find out if any of that is changing over the next 12 months. 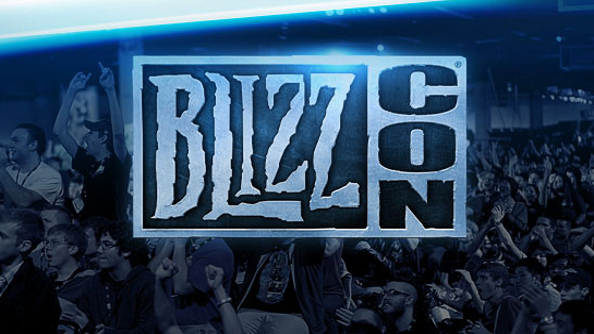 The new kid on the block will continue its special relationship with Blizzcon. Last year it was the big surprise – even if certain individuals (me, I’m talking about me, this is all an ego trip) managed to predict a big announcement as soon as they saw the schedule – while in 2015 the convention will host the first major reveals for the game after the closed beta launch. 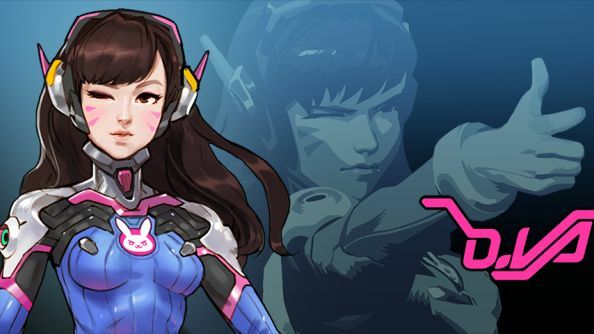 New heroes, including the wonderful concept of ex-SC2 professional player D.va, have already been teased, as has a new snowy, mountainous map. Some surprises aren’t out of the picture either and the question of monetisation model is never far from people’s minds. However, the bigger question will be how far Blizzard go on revealing future plans. While the beta is very functional, it doesn’t have so much as a proper main menu yet, and seeing if the team is ready to start talking about new modes and support will be interesting. There’s also the question of whether hero balancing will begin now, or wait until there’s a more fully-fledged cast in place. Presumably, with the endless rumblings of a community which is dedicated but feeling hard done by on the question of beta access, some mention of the first properly open beta weekend will make it out as well. We’d be surprised to see more than token commitments to e-sports or other large projects yet. As game director Jeff Kaplan reiterated in his first development blog, Blizzard have sent this one out earlier than normal to gather as much feedback as possible. Far too little – i.e. nothing – is finalised for them to talk about institutions surrounding the game yet. On the flip side, an entire panel on Saturday is dedicated to “The World of Overwatch” likely providing more information on the so-far mysterious near-future universe Metzen and co have been working on, along with the various outside-game media that were announced as the main storytelling method last year. Of course, Blizzcon isn’t all unreleased content. There’s to be the final stages of World Championships taking place across the two days for World of Warcraft, Heroes of the Storm, Hearthstone and StarCraft II. Also featured will be show matches for the new LotV Archon mode. All of this will be broadcast for free on the various game-specific Twitch channels, but the main site will have links and embeds for each, as well as information on the brackets. Due to everything else that’s going on our coverage won’t be as extensive as we’d have liked, but you can expect updates on the winners and any must-watch games as soon as possible. That’s everything there is to know about anything. We’ll have live coverage of panels tomorrow night, updates on Saturday regarding anything else interesting we’ve heard, and a batch of interviews and impressions for you in the coming weeks. What are you excited for and what do you want to know more about? Let us know below and we’ll do our best to find out.